It is not a terribly popular idea these days. but seemingly eschews the call to be holy. This comes probably from some false ideas of what "holiness" means. rather than adopted as a quality of life. even though the world looks down on this vocation. Holiness means "set apart for God"
it is dedicated, made holy, set apart for the use of God. and this is a practice which is worth reflecting on. set aside for God's purposes. It "sets us apart for God". by dedication of our lives. it is also a choice about the way we conduct our lives. 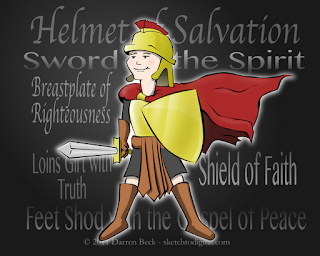 and the sword of the Spirit which, Paul says, is the word of God. He is talking here, I think, both symbolically and actually. about the way we choose to live. It is not just the passive gift of God. 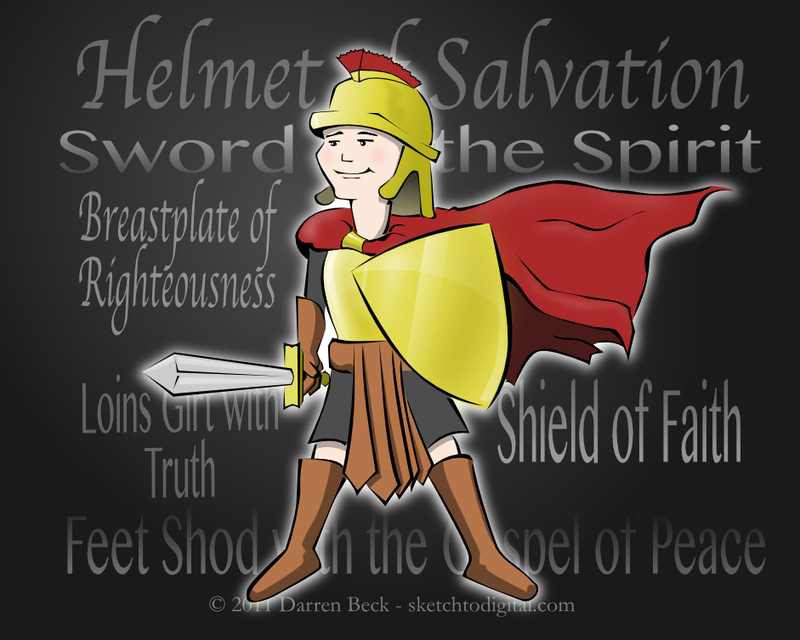 You might pray to put on the armour of God. make a commitment to be a holy person. A person of the word. Let this be your prayer this week.